Wheels On Fire: our first craft show of the year!! 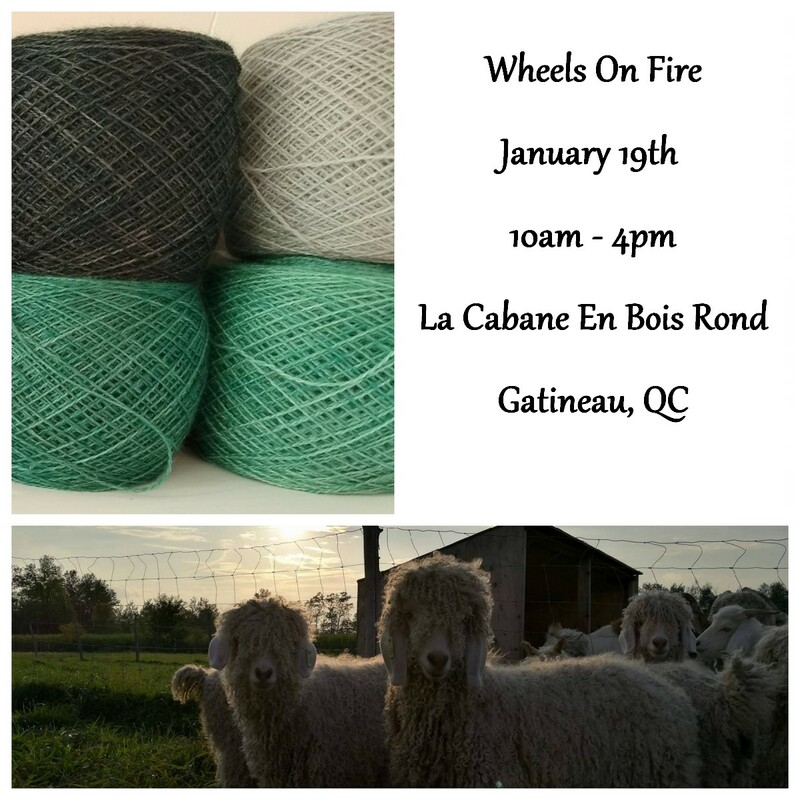 This Saturday, January 19th, we’ll have a table at the second annual Spin-In Wheels on Fire (Les Rouets de Feu) in Gatineau (QC). This event is open to the public (general admission is $5 per person) from 10:00 am to 4:00 pm and is located at La Cabane En Bois Rond, 331 Boulevard de la Cité-des-Jeunes, Gatineau, QC J8Y 6T3. 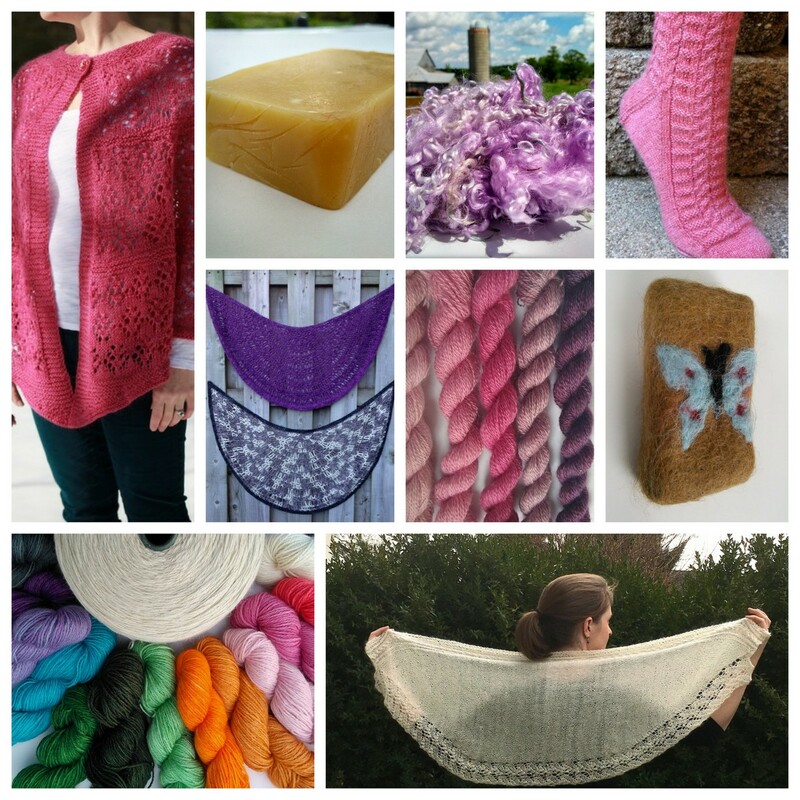 On our table you’ll find mohair locks, yarns, knitting and crochet kits, exclusive patterns, ready-made accessories, a selection of our goat’s milk soaps and much more! PLUS, we’ll have special St Valentine Day’s offers!! that by placing an order before Friday, January 18th, 5:00 pm, you can save on shipping. Just select store pick-up in the shopping cart as you checkout, and we’ll be glad to bring your order to you, at our table! Looking forward to meeting you this Saturday! This week-end March 16-17, we’ll be attending two events. This Saturday We’ll Be At: …The Chesterville Spin-In!! ← Merry Christmas!, And Holiday News!